I am an Italian Travel Designer mostly based in Iceland. Traveling has been my passion since I was young, being always fascinated by other cultures and people. In 2005, after living and studying in Norway and Denmark, I got my degree in Scandinavian languages and cultures at the university in Rome and began to travel the world. I never stopped since then. In 2016, after an unforgettable summer spent in Kulusuk, East Greenland, I went back to Italy to get a new degree as a Travel Designer in order to make my love for traveling becoming my job. So now here I am, on this amazing new adventure called Arctic Travel Designer, where I can finally help people making their Arctic dream becoming true. "I specialise in customised experiential holidays across Iceland and Greenland. Having lived in both countries allows me to have a deeper insight about places and activities not to miss when visiting these stunning countries." "I am a globetrotter at heart, who loves slower paced travels, experiencing and taking my time to get absorbed by new cultures and people. I mostly travel alone. My first solo trip was in 2003 when I discovered the beauty of exploring and discovering the world and simply never managed to stop since then. Traveling for me is not only a life style but it is my life in general. I simply can´t stay still in one place...and who would, when there is the entire world to be discovered out there?" "My most beautiful travel experience has been being part of "Viking Across Africa", the first overland expedition ever to go from Iceland to South Africa. Back in 2013, together with other 16 adventurers, I traveled for seven months across 23 countries, for 22000 miles, on an old war truck, experiencing some of the most remote places and people in the world. The experience of a lifetime!" Iceland doesn't need a London, Paris, or Rome to fill any travel itinerary — budget, luxe, adventure, or otherwise. With no shortage of beautiful landscapes, untamed wildlife, and plenty of both nature and nightlife, you'll have no trouble keeping busy and entertained throughout your week-long vacation. With 7-9 days in Iceland, we recommend you hit the road and explore the incredible wonders further afield from Reykjavik. We’ve put together these unique one week Iceland itineraries which let you explore a variety of landscapes: volcanoes and lava fields, green pastures and farmlands, scenic vistas above fjords, beaches of every color, glaciers and ice caves, and the rugged interior. Here are our recommended drives, an option for all travelers and seasons. 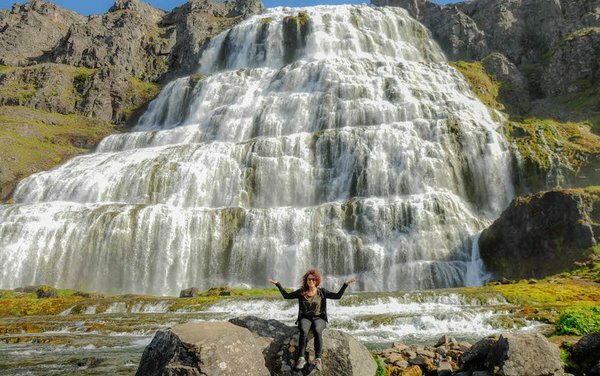 Have only 5 days to explore Iceland? Most people stay in and around Reykjavik and do day trips, While there are plenty of great things to see and do in that area, staying near Reykjavik will have you experience Iceland along with all the crowds and tour buses.